Gabriel Oak is only one of three suitors for the hand of the beautiful and spirited Bathsheba Everdene. He must compete with the dashing young soldier Sergeant Troy and the respectable, middle-aged Farmer Boldwood. And while their fates depend upon the choice Bathsheba makes, she discovers the terrible consequences of an inconstant heart. 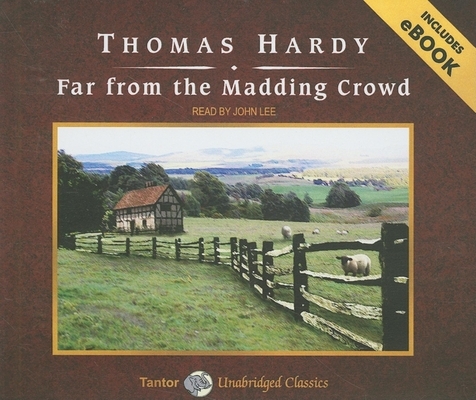 Far from the Madding Crowd was the first of Hardy's novels to give the name Wessex to the landscape of southwest England and the first to gain him widespread popularity as a novelist. Set against the backdrop of the unchanging natural cycle of the year, the story both upholds and questions rural values with a startlingly modern sensibility. Thomas Hardy (1840-1928) was an English poet and regional novelist whose most notable novels are "Far from the Madding Crowd" and "Tess of the D'Urbervilles."